If you are getting ready for a big event that will take place from 6 p.m. to 6 a.m., then you probably need comfortable shoes, like flats. They will never look weird, so you can try on chunky sandals or awesome gladiator flats. I highly recommend wearing flats instead of high heels. The jewelry is very important. I recommend wearing something boho and hippie inspired. You can try on various necklaces, chunky wrap bracelets and sophisticated rings. Try on a sling bag. It small enough to carry around, so it won't bother you, yet it's big enough to carry all of your essentials. It allows you to go hands-free so you can enjoy music and dancing. Keep it cool with your lovely shades. The sunglasses is one of the important accessories. They for sure will make you're overall look more stylish. There are numerous of great styles to choose from. but choose the ones that will flatter your face shape. My personal favorites are the aviators and rounded sunnies. 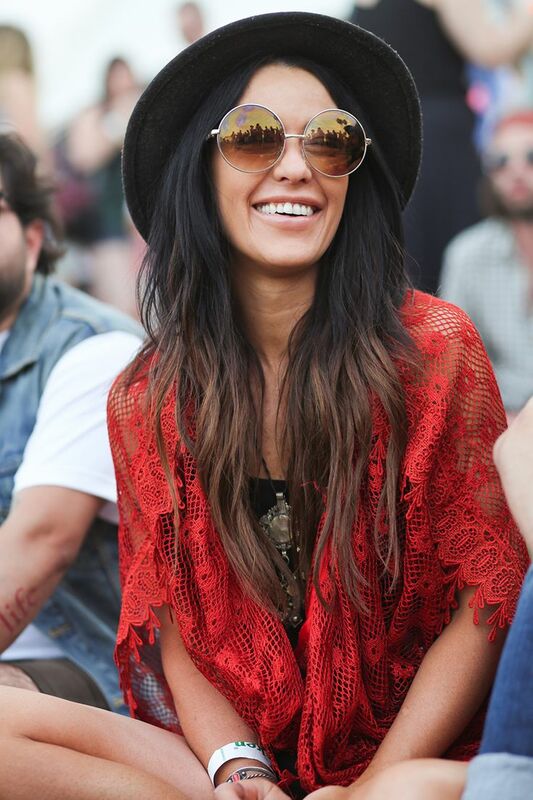 Go for wide brim hat. It will protect your eyes and hair from the sun damage and give you a posh look. I love wide brim hats in neutral colors: brown, black or white.